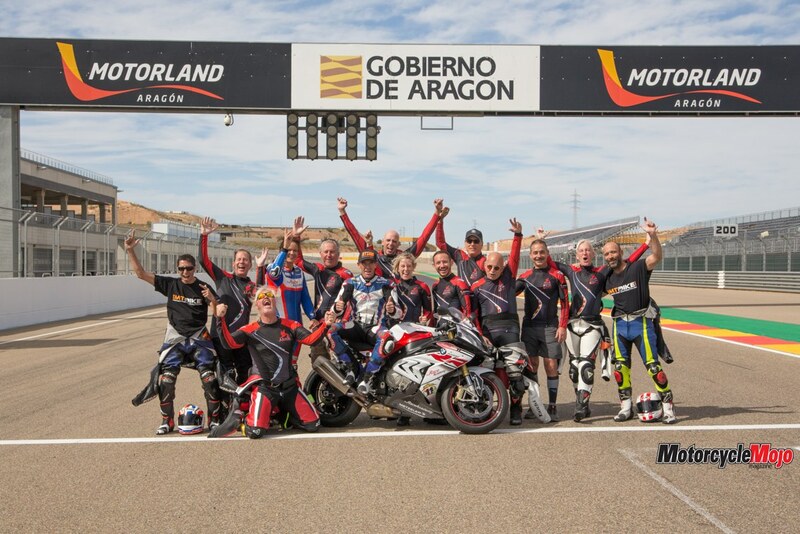 During an incredibly amazing Leod Escapes international tour with track time through the Spanish Pyrenees, our group of 15 motorcyclists had the opportunity to ride the famous MotoGP Circuit MotorLand Aragon for two incredibly exciting days. 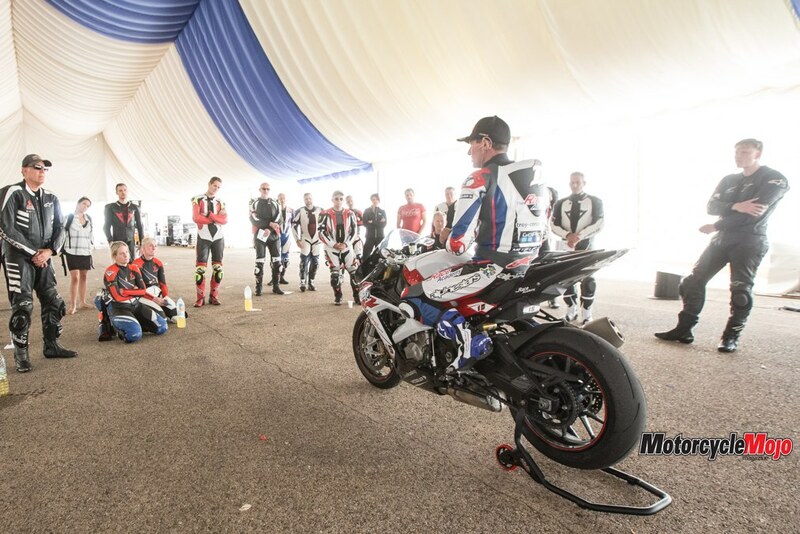 These weren’t typical track days either – Leod Escapes clients were joining the Race Academy School for two days of instruction from none other than two-time World Superbike Champion Troy Corser! For me it was a challenge, after 14-plus years of coaching with the California Superbike School (CSS), to put aside my teaching hat and be a student once again. 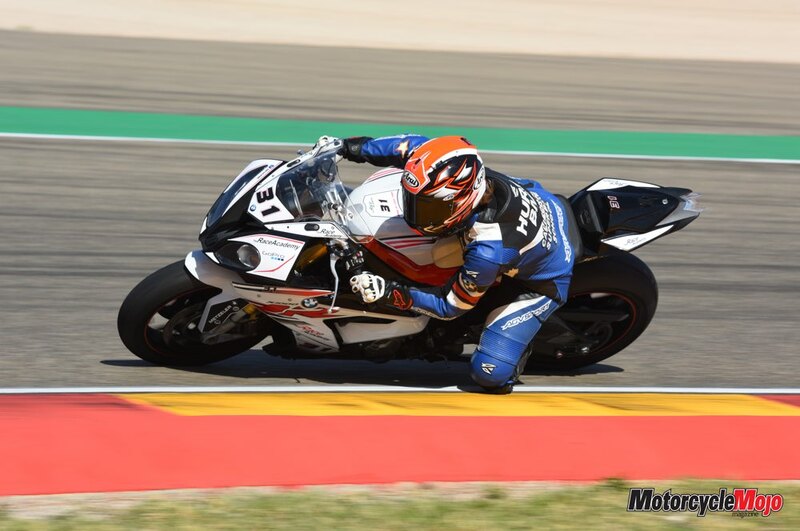 The Race Academy has a fleet of 2018 BMW S1000RRs, the same bikes we use at CSS, and I was assigned bike 31 and given permission to start in Race mode instead of the usual Sport. 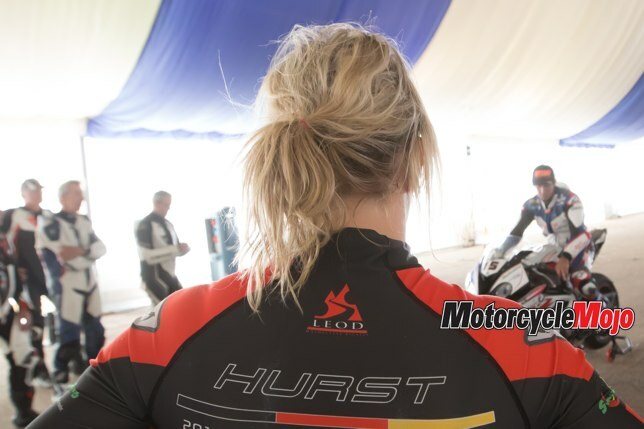 I was put in a group with Eskil as my instructor and two other riders, not part of our Leod group, who were assumed to be of similar speed and skill level as me. 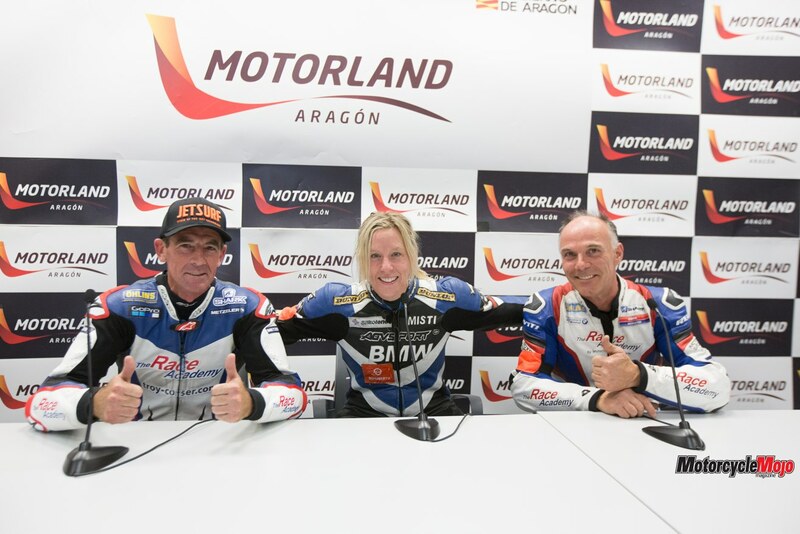 The day began with an overview of track rules and flags, followed by a briefing session with Eskil that consisted of going over the track map and points of reference. Then, we rolled out onto the track. 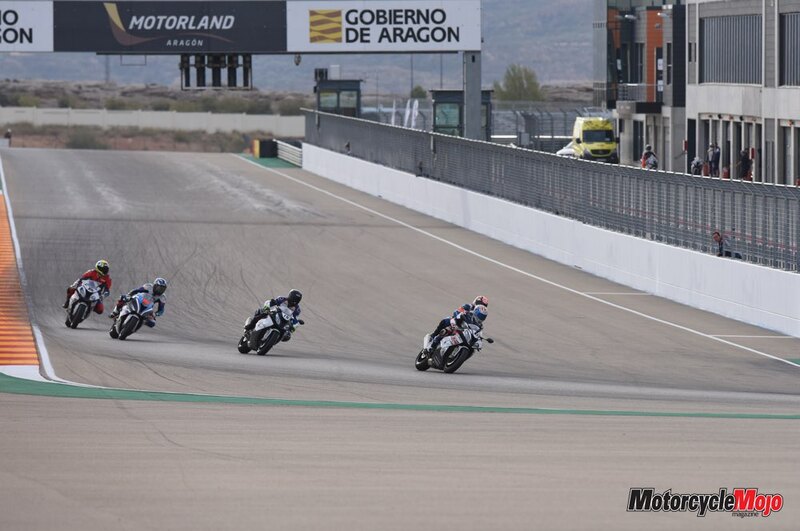 Aragon! Wide and fast, with many technical and blind corners that also challenged the eyes with colourful curbing in red, yellow and green. 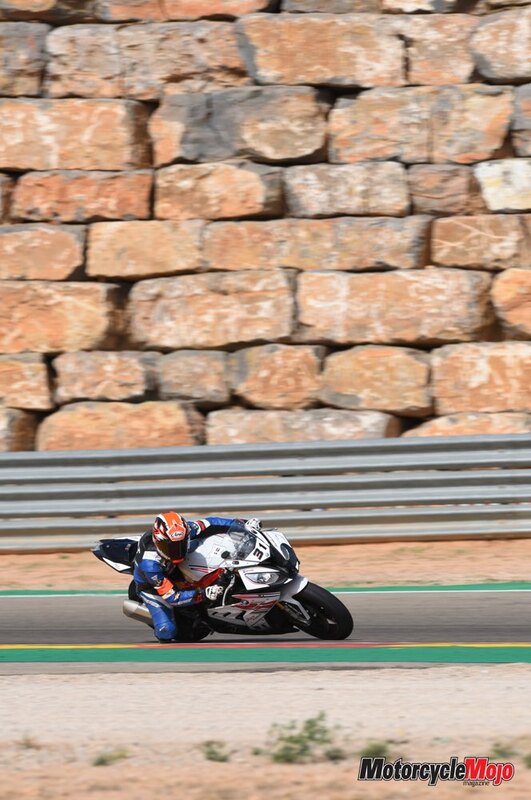 I followed my instructor for most of the first session just trying to make out the finer details of the track. 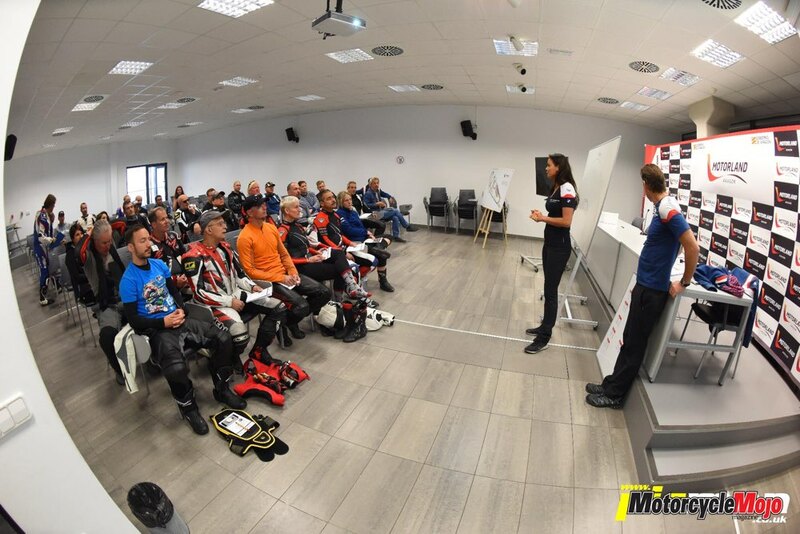 Our first tech briefing was on throttle steering, using the throttle to control the line; the second briefing, delivered by Corser, was all about vision, loosely covering such topics as picking out reference points and looking ahead to your next point. The format of the day: seminar, ride, debrief with instructor (often with video footage), and repeat. 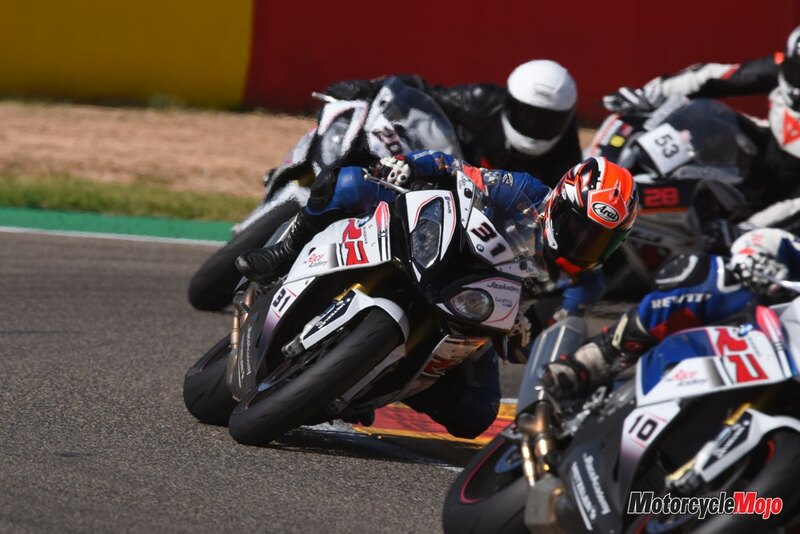 On the third track-riding session, while I was just beginning to learn the tricky circuit, Corser blasted by, giving the “follow me” signal, so I rolled on the gas in an attempt to match the pace he apparently believed I was capable of. His hand gestures were strict and deliberate: “Move over!” he seemed to be shouting. “Follow me exactly on this line,” his hands demanded. “I’m trying!” I wanted to scream back as I altered my lines attempting to do exactly as shown. 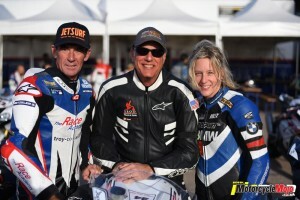 While his hands dictated where I should be on the track, they were also simultaneously announcing what gear I was supposed to be in – four fingers, three fingers, two fingers! 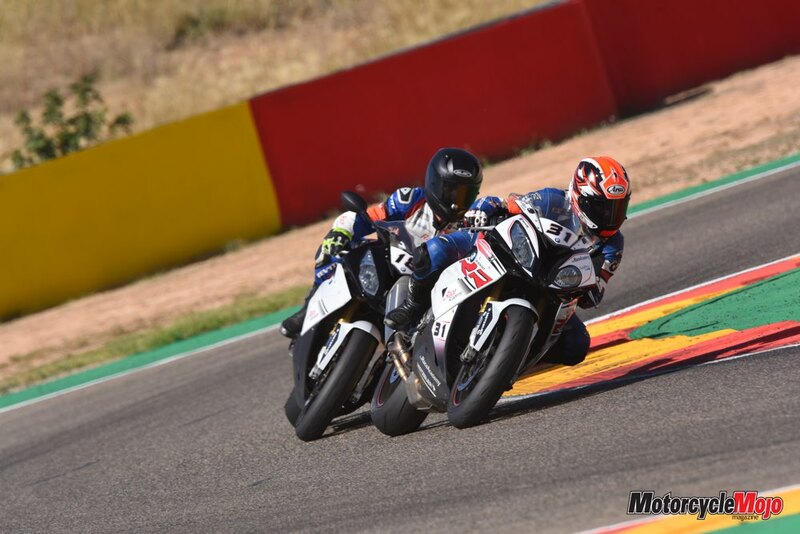 It was all I could do to try and keep up, but there I was, slightly star struck following Troy Corser around Aragon in Spain! In the end, he dragged me along nearly three seconds faster than my previous time, a 2:17 on my third session ever at that track. He also suggested that I do a session as a passenger on the back of his bike with him. “You’ll learn more in three laps on the back with me than in all the seminars I can give you.” Yeah, not happening, I thought to myself. 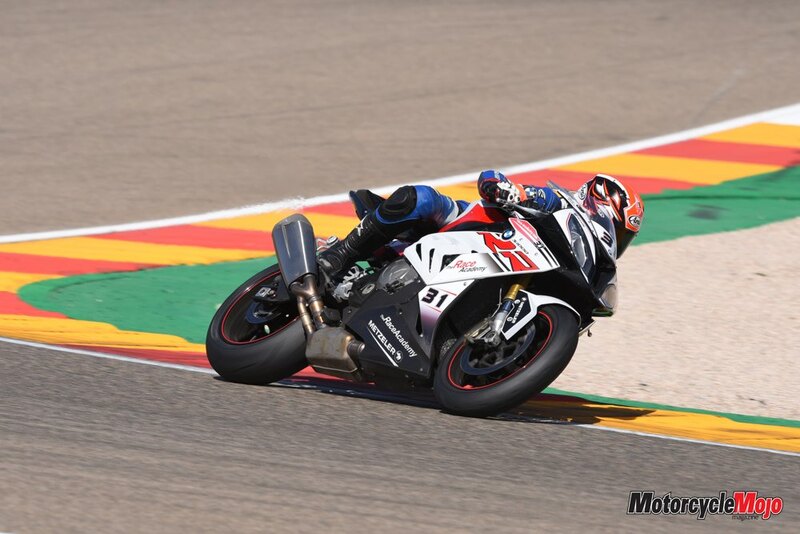 Nothing sounded more terrifying than a pillion ride. Nope. 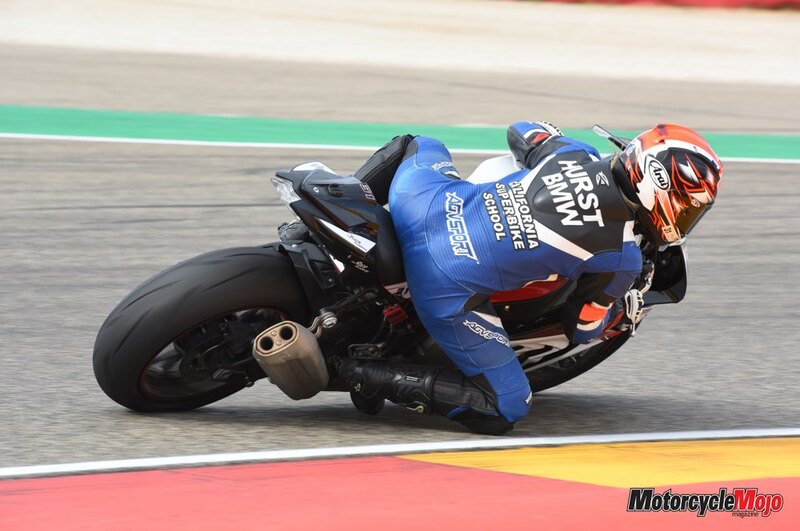 For the last two sessions, we worked on body and foot positioning, trying to sit closer to the tank, hips and thighs jammed in tight, heels on the pegs, legs out. This proved excessively difficult for me, but I did my best to be a good student and found some usefulness in the position, for certain corners, in certain situations.